This book is a collection of biographical sketches of the Adjutants General of the Oklahoma National Guard and Commanding Generals of the 45th Infantry Division who also held membership in the Masonic Fraternity of Oklahoma. 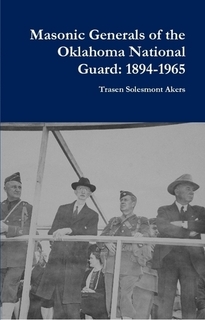 Chocked full of photos, the book chronicles the lives and careers of the nine Adjutants General and six Commanding Generals of the 45th from 1894 to 1965 who were Freemasons. Proceeds benefit the museum of the McAlester Scottish Rite Valley.